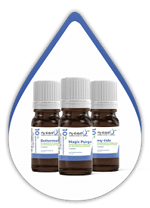 Vape pure magic: our exciting Magic Purge Liquid will enchant you with its magical blend of sweet strawberries, fruity blueberries and a fresh hint of menthol. Our Magic Purge Liquid with its magical fruit taste is one of our many special flavored liquids. Mix sweet strawberries, juicy blueberries and cool menthol and you will get a magical vape taste! All our liquids are made in Germany and are subject to highest safety standards. Of course, our Magic Purge Liquid is available nicotine-free as well as in various nicotine levels. Due to possible flavor fading, we recommend to store the flask in a cool, dry and dark place. Zum ersten Mal getestet....sehr lecker...! Neutral und wenig Eigengeschmack, dafür süß und in all meinen Mischungen vorhanden. Honig - Waldmeister2 - Magic Purge. So hier ist mal meine Bewertung zum Liquid Magic Purge. Zuerst zum geschmack ich benutze die Kbox Mini und den Subtank Mini mit dieser E-Zigarette merkt man den Geschmack fasst gar nicht.Die Verpackung naja nicht schlecht.Zum Aussehen muss ich sagen sieht sogar sehr schön aus da Grün meine lieblingsfarbe ist und weil die meisten liquids durchsichtig sind.Dampfverhalten schlicht und kurz gesagt gut nicht zu wenig.Zum Schluss der Preis naja 7€ find ich ein bisschen viel. Eine Freundin erzählte mir davon und ich probierte dann das Purge Liquid weil es das bei meinem Damfstore nicht gibt, ein wenig stärker Geschmack wäre gut ansonsten nicht schlecht. Ich benutze den i Stick und den Aerotank. Geschmacklich merke ich hier nichts. Würde ich nicht weiterempfehlen. Zum Verdampfen genutzt und an unsere Kunden empfohlen. Der Geschmack ist hervorragend. Mangos are sweet in flavor, very juicy and absolutely popular! That’s why we created our mouthwatering Mango Liquid - authentic, rich and scented. Go for it! With our Banana Milk Liquid you’re going to experience the whole power of creamy, sweet and tasty freshness – a unique flavor composition for high-class vaping! A collection of the most delicious and freshest of berries, like blueberries, raspberries, strawberries and many more is combined in our Forest Fruits Liquid. Need a break? Our Ice Mint Liquid has the ultimate refreshment for you: fresh, frosty ice mint meets a pleasant, discreet touch of lemon. Go for it and enjoy! Here comes another deluxe combination you have to try! Our Green Rascal Liquid unites fruity, mild gooseberry and sparkling, slightly sour, yet sweet woodruff. 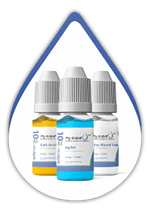 Enjoy the authentic taste of fruity pink chewing gum combined with a cooling touch of menthol with our famous My-Tide Liquid. Try it and you’ll fall in love! So cool, refreshing and fruity-sweet: the stimulating mix of blueberries and frosty taste makes our Ice Candy Blueberry Liquid a wonderful and delicious one. When creamy buttermilk mixes with zesty lemon aroma, our Bottermelk Fresh Liquid is born. 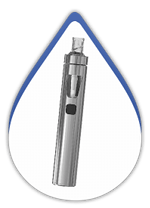 This fabulous creation offers a delicious, light and refreshing vape. Need refreshment? Our stunning Fresh Woodruff Liquid provides a refreshing and aromatic mix of cool and icy mint, delicious sweet woodruff and bracing menthol.